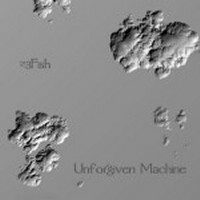 23fish is the artistic union of Javi Canovas and guitarist David Parades and Unforgiven Machine is the result of their first musical reflections. A rather particular album which uses a strong variety of sonorities, as much heteroclites as psychedelics, on good sequential surges. Both cosmic and progressive EM, Unforgiven Machine presents 4 long tracks to similar structures where ambient intros and finales, tinted strong atmospheric incandescence, are intersected with good undulating sequences to subdivided chords which hang to good rhythmic structures. Nightwatchers intro reflects the very ‘‘psychedelicosmic’’ ambiance that reigns around Unforgiven Machine. Variegated sonorities are twisted in vibrating serpentines, freeing thousand droning distortions, before ending into a Sea of Tranquility feeds of tender solos from a plaintive guitar. Solos which float in a beautiful cosmic quietude tinted of weak chime tinkling which, little by little, shape a Halloween style nursery rhyme which scintillates of its limpid keys. From this childish daydream emerges a sequence which waltzes awkwardly before metamorphosing itself in a heavy sequence undulating idly to subdivide itself again, before penetrating an electronic sphere where the guitar multiplies limpid solos under a slow rhythm always supported by a sequence to ascending movement. A rhythm which gradually vanishes in the lapse of memory. In oblivion filled of fine reverberating waves, as like Nightwatchers are always present. This musical staging is present on Unforgiven Machine 3other tracks which, on the other hand, have their proper characteristics. So Underground Voices presents a dark introduction of an underground world from where frees strange hooting. Dark breaths and murmurs which merge to chords of a solitary and discreet guitar thus a synth to tearing strias. From an atmospheric strangeness Underground Voices borrows a liven rhythmic passage of a superb sequence to hybrid and subdivided keys which hop in a beautiful synchronized anarchy, molding an intense tempo sprinkled of felted percussions and cymbals. After a slow morphic intro, Architeuthis embraces the rhythmic life with a superb sequence to frantic chords. A nervous sequence which weaves another sequential structure below the breaths of a synth with angelic trumpets, whereas the rhythm slowly takes shape in order to plunge in an intense sequential bubble whose heavy chords are bitten by a guitar with vaporous solos. 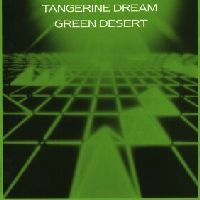 A very good track that brings us back in the 70’s, whereas Tangerine Dream was his best! A synth to rippling layers envelope a keyboard and a guitar with hesitant arpeggios open The Twenty Six Gills Man. Once again the intro is morphic, though a little less deadening, and furrows a slow musical procession before leading on a solid sequence whose keys hop nervously on a hybrid structure where layers of synth and guitars howl as specters on a movement which gradually intensifies its heaviness intensity. Like the preceding titles, the rhythms of The Twenty Six Gills Man revolve in complexes ‘‘psychedelicosmic’’ atmospheres before dying out in a cosmic nothingness where only Spanish voices pierce it silence. A mixture of heavy atmospheres and rhythms quite as heavy, here are what 23fish offers us on their 1st opus. Even if more complex than the average, Unforgiven Machine is a solid album of EM strongly tinted of a strong cosmic rock approach filled of hybrid structures. An album with striking sequential passages which will please fans of good old sequences à la Tangerine Dream’s Chris Franke era. As you have might guessed; I have enormous soft spot for Picture Palace Music music. As far as I’m concern, Thorsten " Q" Quaeschning is a puff of fresh air which reinvigorates the world sometimes too placid of EM, quite apart from the fact that he certainly gave a 4th breath to Tangerine Dream when Edgar gives him a little freedom. In fact, listening Picture Palace Music is like going on an astral journey in the mythical Europeans campaigns where sorcery, alchemy and magic of all the colors wandered in the long corridors of wood and medieval forests. Quaeschning writes his music with strong theatrical tendencies which whip our imagination since the release of Somnambulistic Tunes, back in 2007, while always wrapping its works with very expressive titles. Fairy Marsh Districts/Music For Sunken Monasteries & Castle Moats is another ode to the perversity of temporal voyages where dramas jest of monastery heresies. Superb and strongly inspired of Middle-Ages Juffer Vey's Minnesong debauches this PPM 10th work with a romantic acoustic guitar that a storyteller scrapes in front of his mass market audience. A Mellotron with strings of a misty melancholic violin wraps these first notes, getting out Juffer Vey' S Minnesong of our baroque thoughts to redirect them much close to Sahara with fine tabla percussions. From then on musical paradoxes confront with the appearance of a sequence which tumbles down nervously, accompanied by electronic percussions which collide like a whip tail under the aegis of a more limpid Mellotron. From a silky counting rhyme of the medieval mass market, Juffer Vey' S Minnesong is turning into a superb electronic part where the nervous rhythm hardly hides its first influences. And there goes the odd musical universe of Thorsten " Q" Quaeschning; between primices of an ancestral world where horses furrowed green virgin plains beneath shades of dark clouds and its synthesized knights who ride a universe to thousand contemporary sonorities, "Q" hacks himself a place of his own between dream, illusion and reality. Spring-Water-Fall follows with fine xylophone arpeggios which fall like a melodious rain in suspension. A strange shower of rain encircled of choruses, veiled layers and discrete cymbals which little by little evaporate themselves to leave an enchanting clearing where bathes a strange mystical aura with celestial solos which howl among heteroclite sonorities, paving the layout of Fairies & Fairies and its hatched tempo which dances with gipsy guitar notes and a synth to discrete breaths. A minimalism rhythm where sequencer keys hiccup and undulate, such of wavelets, below heats vocal breaths of Gothic mermaids. It’s in this quietude of a world peppered of magic illusions that this 1st portion of Fairy Marsh Districts ends. Damsel's Dive opens the 2nd part with percussions stumbling down to split a nervous rhythm, supported by guitar chords and a sequencer with lines that fly furtively, moving towards a superb refrain which flies over an adjacent structure animated of a soft bewitched madness which is not without reminding the splendid Añoranza from Curicculum Vitae 1. Around the 4th minute, the drum divides the tempo which plunges towards a psychedelic approach with a furious guitar that hiccups of fierce chords, covered by a synth to hungry witches’ streaks. As strange as violent, Damsel's Dive will need more than one listening before seizing all of it subtlety and fineness on a hard and frenzied rhythm pierced of soft ethereal inserts. This is what I call a bomb which deviates on the very beautiful and romantic Nun Exclusive where a soft dreamy violin frees fine charming solos which overhang a discrete piano and a secret acoustic guitar. Quite as much static, but more intriguing, Marsh Mellow Dea/N MArtins Gans/Z Oder Gar Nicht/S Destotrotz is built on a world of pulsations. Light beats pulse near a sequencer to multiple lines of anarchistic percussions, joining other percussions of typist machine style which beat among short synth inserts, reminding Tangerine Dream electronic sonorities from the Schmoelling era. The more this music piece goes on and the less we can’t be unaware of this influence, because the new sequences lines and t pulsations plunge us into the time of Flashpoint and Exit. Help, Murder, Help falls heavily with a powerful musical structure where guitars and drums combine on a title much more the Heavy Metal style than purely electronic, even if heavy layers of a black and dark synth flies over Help, Murder, Help from start to end. A title that says it all and which breathes all the ferocity of its name. Lunatic Asylum plunges us in the corrosive universe of PPM with a rhythm as slow as heavy, imprints of loud and sinuous layers from a morphic synth which spreads out its feelings of abandonment. An intense and very introspective track where the dark melancholy amalgamates with the soft frustration of a latent bipolarity, a little as all that surrounds enigmatic works of Picture Palace Music. 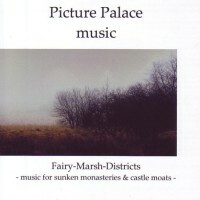 As on every Picture Palace Music work, Fairy Marsh Districts/Music For Sunken Monasteries & Castle Moats gets discover on the tip of ears. Once the first listening passed, we end up discovering all the enchanting musical universe of Thorsten " Q" Quaeschning, which is more than daring by painting a music with temporal antipodes where the Middle Ages goes along with a harmoniously contemporary approach on a canvas at once dramatic and romantic. Would I take you by surprise if I tell you that it’s a superb opus? It might be too early to state that Quaeschning is the new genius of a hybrid musical crenel; electro-theatral-rock, as it would be too early to say that Fairy Marsh Districts is another small masterpiece from PPM. But one thing is sure; " Q" continues to astounded with a unique musical approach that is a pure breath of fresh air. Simply sublime for those who can see all the magic in music. It’s easy speaking about future when we do it at the present time! I’m explaining. Who would have thought that Jerome Mixes series would have survived? Who would have thought that Jerome would have become a skilful studio beast, endowed by a very good sense of writing, when he made his first steps with his father in 1989? Not a lot of people, me first. Today, force is to admit that JF earned his place in the world of EM, even if his approach is less ethereal. With years passing by, Jerome pleased himself to remodel the music of his paternal and the Dream. As many TD fans, I heard on the tips of my ears JF’s Mixes, in particular the splendid version of The Scale with Prime Time on The Past Hundred Moons (DM III) and each time I wrinkled eyebrows until I seriously attack the small phenomenon which is Jerome Froese. Right from the start I’m telling you straight away; I liked this DM V. Yes! You read it well. In an era where Papi Froese works on new versions of TD’s works, Jerome’s approach brings dynamism and another vision of the musical phenomenon that was Tangerine Dream. And the more JF advances in his mixes, the more he attacks colossal works, like Rubycon and Poland. The Return of the Time is a mix of Rubycon. A completely metamorphosed Rubycon which keeps his entire aura of mystery, amplified by discrete layers and choirs of a sober synth while being hammered by good percussions, sometimes rolling and frantic, other times heavy and hammering. Jerome makes a skilful mixture between hatched and syncopated rhythms and passages more or less vaporous, a little as if he wanted to preserve the primary identity of Dream’s classical works. With his percussions that roll down with a zest of ‘‘metallicity'’, on an intro which points out with astonish Flashpoint, Flow Path is a worthy descendant of Exit, but with a clear amelioration on cadences than on the original. Here, like everywhere else on DM V, Jerome brilliantly uses his panoply of percussions and heteroclite sound effects which hop and collide on great lines of bass, drawing frantic rhythms, tinted of a mythical ethereal aura. If Jerome respects the premices of original works he isn’t shy at all to cover them of powerful rhythms, as on the heavy and powerful Meshwork (Das Mädchen auf der Treppe), Code to Zero (Midnight In Tula), though least heavy and Alien Sitcom (Mojave End Title) which per moment knocks down the house. If loud rhythms is DM V factor ‘‘uno’’, we also find magical and more tender passages as Polar Circle which is a very beautiful version of Miracle Mile’s Running out of Time and Mombasa (Touareg Remix) which is as banal as the Booster III version and this in spite of the crescendo effect which Jerome tries to insufflate. Scope off Minds and Hinterland are splendid versions of various segments from Horizon where JF maintains all harmonies and sequences while accentuating the approach of sequenced percussions on structures where rhythms fit with wonder these new percussions incursions. On this level, Hinterland is an impressive success. As far as I’m concern, DM V is a superb surprised. And I must admit that its hearing pushed me to discover the others Mixes of Jerome Froese. If the son of father Froese had strongly impressed me with Shiver me Timbers and The Speed of Snow, he hooks me intensely with these new mixes of Tangerine Dream works. I won’t push my pen as far as writing down that they supplant the original ones, though it’s rather difficult to do worse than Rockoon or Lily on the Beach and other musical adventures of the 90’ and 2000, but they bring a good rhythm of freshness and audacity to titles that we would never considered in another way. What stories and anecdotes around Green Desert release in 1986! Something to feed those long debates around Tangerine Dream history and legend. According to nebulous bites of stories, Green Desert was due to come instead of Phaedra in 1973. Moreover, the recordings would have been made in August 1973. For some obscure reasons, some speak about the musical contexts whereas Virgin would have wished a more commercial sonority than Ohr Music space rock of 70’s, the recordings would have been lost and it was Phaedra that came out instead. More than 12 years later, the recordings come out on Zomba Music. And even there, fans and music historians are skeptics concerning Green Desert origins. Pure and die hard fans are outraged because Edgar Froese couldn’t prevent from adding synth lines and overdubs on the original tracks, with equipment which did not even exist in73, before the final appearance of Green Desert in 1986, creating even more confusion around it of its source. Ah yes… The music! Well it’s quite simply sublime in the full spirit of TD’s first works. Itself the title track passes through all musical currents of this gorgeous area; long ambient intro on a floating synth to which joins a fine sequential bass line, Chris Franke drumming (he was quite good) and Edgar’s space blues guitar. The rhythm is evasive and covers the limits of floating to a much harder of the psychedelic space rock of this time. It’s like put in box sequential spasms and analog shouts of Master Schulze on Body Love. A strong music piece of which I doubt that it was completely written in73, so much the similarities with Sorcerer and Stratosfear are present. Speaking of Sorcerer, White Clouds has many of its appearances. Analog breaths on a suave synth and a superb rolling of drums cover a very beautiful melody. Astral Voyager (the main point regarding the debate around Green Desert) is a formidable music piece builds on an ultra nervous sequencer which rolls at high speed. The kind of sequences that we weren’t used to hear and this era. But it was also then that Franke and Froese locked themselves up in studio to produce a multitude of newborns sound which later will be the musical stamps of this experimental fever. So, round rhythm on a solid sequence scented of beautiful layers of a fluid synth with Mellotron essence of Froese (Pinnacles) solo works. An excellent track! Indian Summer is an ambient passage where notes fall with intensity in a calm sea of sounds, lulled by a soft dreamy synth. The kind of music that made the delight of floating music fans from the 70’s and of which you can feel the imprints on Wavelength. Was Green Desert really written and produced in 73? May I have my doubts? It might be written in the 70’s, but I would guess the post Phaedra era that is to say 76-77. But anyway, the main thing is its remains an excellent CD. One of the best that came out of the 80’s even if nobody’s but Edgar and Co really know. A must, only if it’s only to understand the enchantment of greatnesses that surrounded this strange duet which was Franke and Froese. Some great contemporary electronic art that should find its place in all TD fans collection. And far beyond…! Here’s what I could call the first EM album ever. Even if Alpha Centauri is much more ambient than sequenced, it’s the very first EM album to shows moves and moods, not only noise on noises or experimental abstract music. An album made in the late 60’s and early 70’s Alpha Centauri influenced the world of rock music and changed the way artists imagined prog music and later, world music and techno. 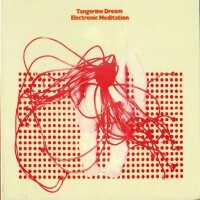 After the experimental Electronic Meditation, Tangerine Dream is amputated of 2 members; Schnitzler and Schulze. Edgar Froese won’t change his mind and wants to pursue his exploration of sounds and its ambiguities. He recruits in turn Chris Franke and Steve Schroeder to reform the Dream. The new trio introduces VCS 3 synth new measures, which Pink Floyd will use on Dark Side the Moon some two years later. 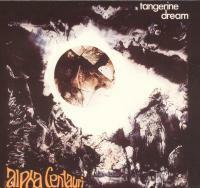 More structured than Electronic Meditation, Alpha Centauri is distinguishing by a deepen approach of organs which Froese and friends had the leisure to test during 3 weeks, just before starting Tangerine Dream superb musical adventure. Distant guitar chords pave the way to Sunrise in the Third System. A low droning rolls up this intro where organ float in an atmosphere both tenebrous and celestial. Floating and spatial movement, Sunrise in the Third System tergiversates in the cerebral limbs with a morphic softness. The sound experimentation becomes more complex with Fly and Collision of Comas Sola intro. Caustic oscillations bite eardrums, swirling in imperfect circles, leaving a sonorous powder drags which buries first measures of timid guitars and shivering organ. The cacophonous intensity decreasing, one is seized by a melodious traditional approach of an ethereal organ, though heavy, accompanied by a dreamy flute. Under cosmic thunders, the movement becomes more rock with a superb performance of Franke which unrolls his drum skins with fury, obstructing in no way Udo Dennenbourg’s flute. One of the first good TD structured music piece which lurches between Pink Floyd’s Ummagumma and Green Desert atmospheres. The title track is a splendid mixture of EM and prog rock. Floating cymbals introduce a heteroclite hovering sound fauna, but a quite intense one, plunging the listener in the curious musical world of Floyd on Saucerful Of Secret but with the addition of the VCS 3 synth. A musical universe which glitter beneath a beautiful use of flute and celestial choruses, in a dark and atonal cosmos, a little as if an Aurora Borealis could turn his colors and specters into sounds. A small musical jewel for progressive music die hard fans, a style which borrows random paths of a being born EM. Written and recorded as the very first days of Tangerine Dream formation, Electronic Meditation is everything except an EM album. In fact we could qualify it as the first electronic punk album which was, at the start, a pure jam-session in a disused factory in Berlin in the autumn of 69. 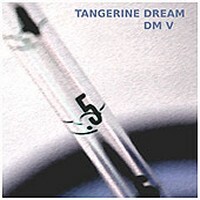 Smelling the probability of a German Pink Floyd band, Ohr’s management made it the very first Tangerine Dream album. A sonorous bric-à-brac sprawls in a psychedelic tumult with stunning melodious passages. Deviating organ on percussions as random as celestial, Schnitzer’s cello bites in the very ambient overture of Genesis. Here the rhythm is absent and the music is abstract. TD is a quintet whose search itself and which grants its instruments before an avalanche of percussion strikes Genesis aboriginal psychedelic rhythm which becomes louder in spite of Thomas Keyserling beautiful flute. Journey through a Burning Brain get going on the cacophonous final of Genesis. Here, Edgar explores his guitars sonorities. A track which becomes more poetic, with a very Floydian savor, thanks to an organ biting Froese incisors guitar strings. Hallucinatory and rather incoercible after a good joint! Ambient sonorities oscillate between skidding organs which are straightened up to that ghostly sinuosity, Journey through a Burning Brain blazes up on a flexible and discordant rhythm where guitars spit a rock'n'roll venom on a surprising Schulze percussions play whereas the flute founds a jungle climate. Completely crazy, but surprisingly attracting, Journey through a Burning Brain equals Pink Floyd’s Ummagumma sessions. Cold Smoke is hallucinatory smoke worthy of LSD trip. Sweetie intro with a gliding organ, the track is constantly dazing by dry strings of a delirious violin and demonic Schulze on drum, whereas the organ remains always placidly harmonizes with a solitary quest, excludes quintet disharmonies. Odd and anti musical it still has good passages, especially when Froese’s guitar solos tear the wall of steel in a delirious innovating pre progressive. To tame but quite gently! Ashes to Ashes is a kind of psychedelic blues distorted by Conrad Schnitzler machiavelic spirit, excellent in the art of working strange sound effects. Resurrection buckles the loop with a very pastoral intro which floats in delirious vocal, before taking again a sinuous and lazy heaviness, molding the intro of Genesis. For a first album, Electronic Meditation is not that easy to tame. One told me that it’s a cacophonous symphony that I would agree. On the other hand one clearly feels the influence of Pink Floyd from Saucerful of Secret and Ummagumma eras. But deeply in the details, we clearly hear Rubycon and Phaedra first steps. 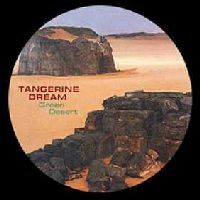 For fans of Berlin School EM, ambient or sequenced, Ricochet Dream became one of the top in EM. Over the years Vic Rek's label produced very good opuses of EM, while organizing mega thematic concerts in 4 corners of the planet to celebrate or underline an event connected to Tangerine Dream; the cultural heart of Ricochet Dream. Since its existence, this New Jersey label made back to life the music of TD’s ex-members and made us discover splendid artists whom were either forgotten or in embryonic state, I think in particular of Spyra, Picture Palace Music, Polaris and the last one; Daniel Bloom. 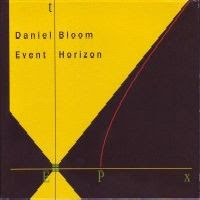 Native of Poland, Daniel Bloom stood out as the leader of the Poland School movement with the use of analog equipment and musical structures which get closer to Tangerine Dream roots. Event Horizon is his last album and his first one for more than 5 years. A first album on Ricochet Dream, which includes music released and recorded in his "Two Minutes Elsie Studio ", between 2003 and 2005. An album where the cosmic rock moulds cheerfully to Tangerine Dream and Krautrock influences. Horus plunges us head on into the intriguing musical world of Bloom. Heavy ethereal spark with a synth of which dark and spectral words are disappearing in a subdivision of layers and synthesized mists which get lost on a flickering sequential movement, Horus borrows the paths of a cosmic rock with the entire full array of the psychedelic sound effects of the 70’s. Heavy rhythm on nervous sequences waves like pulsations in cascade while guitar bites a tempo on a synth to spectral waves and juicy analog effects. A short title which fills up the ears and shows all of Daniel Bloom's capacity to integrate his music on parallel universes. Other short track, Megalit offers a dramatic intro with its powerful drum hammerings which pestle an intense rhythm stuffed with cybernetic strata which coo in loops in the shade of a brief melodious tune that felted percussions feed of a beautiful musical poetry. Short and superbly efficient quite as Glacial Lake and its fascinating atmospheric approach, worthy of a nothingness which takes life difficulty on a very beautiful Wavelength sequenced movement. Longer track on Event Horizon, the title track starts on a synth to intriguing astral waves which move through as specters in an empty spaceship. A sequential movement, marinated of flickered cymbals, pierces this nebulosity which ripples nervously and cruelly in an envelope of analog sound effects that a synth with breaths always so spectral and a Mellotron to vaporous layers surrounds of a mystic aura. Out of nowhere appears a soft synthesized refrain. A melodious refrain which dances lasciviously around this combination of rhythms suspended between its delicate harmonies and wadding wanderings, before sinking into the abysses of a heavy cosmic rock with a roaring guitar that spits its twisted melodies below lookouts of a sequential movement always so hard-hitting and a synth of which minimalist loops emerge out of a sordid corrosive universe. If Event Horizon immersed us of a complex musical universe, Mount Meru does not take us out of it with its sequences which hem in cascades under resonant strata of a hybrid synth. A synth where short melodious inserts revolve around twisted rhythmic permutations of which syncopated movements are constantly seized by resounding waves. A title difficult to tame and where all its complexity evaporates next to superb Into the Galactic Nucleus and its Flashpoint and The Thief sequences which roll at very fast pace under strata of a synth to analog fragrances. A very good title which increases its potential with an extra terrestrial approach à la X-Files on sequences to subdivided doubloons which stamp one’s feet beneath a synth as so spectral as spatial. Duat encloses this Daniel Bloom's first album on Ricochet Dream with a very lively structure where sequences and percussions modulate a tempo supported by a synth to multiple melodious pads. From suave to dramatic, Duat is a mixture of the powerful rhythms of Horus and Megalit on a melodious structure at once complex and harmonious, as we find on the title track. Complex, hazardous, progressive and spatial; Event Horizon is a subtle mixture of the dualism between the harmonies and the extreme structural modulations where melodies get lost in the borders of a musical universe both complex and charming. This Daniel Bloom's last album does not tame that easily as an album from Spyra or Picture Palace Music will do, although both universes live easily. On the other hand, once anchored well in the hollow of our ears, there are magical moments that go on. Magic moments that will push the listener to a bigger introspection, and this is where we discover the pure jewels which are hiding behind the complex, and sometimes melodious, musical universe of Event Horizon. Versatile, Spyra is! The German synthesist can make as well vaporous Berlin School as ambient music, while passing by electro and techno. ADSR Remixed is the edifying proof. This Maxi single of 25 minutes presents 4 remixes of ADSR. And these 4 versions are pure techno to make your walls shake and to scrape clean your dance floors. The first version is closer of the current EM with a beautiful line of nervous bass which trembles as a sequence in the syncopated jerks under beautiful captivating lines of synth and singings of fanciful birds. A Mellotron to waltzing strata wrap this movement which bursts of heavy deafening percussions, before quivering on a Kraftwerk beat. A world of diversified rhythms which pulse with minimalism on hybrid tones percussions, A Remix travel on castanets percussions, some heavy percussion with noises of glasses which resound in a hollow of bottle. Inspired and inspiring, Spyra really pass the fidgets on a title which will not stop exploding, as on the version of Steve Baltes which is pure techno that kicks down on stormy tams-tams and beautiful wave-like lines of synth. Great dance-floor at its best, with all the arrangements and orchestrations we can dream about. The S 136 Remix is as much vitriolic, even if surrounded of great waltzing Mellotrons. A version which is a beautiful meshing of the first 2 ones. More suave and languishing, R Dub Mix is soft and enjoys good percussions, shaping a very aphrodisiac down-tempo style. 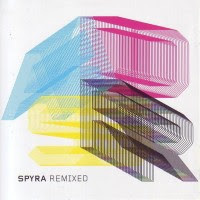 ADSR Remixed shows the techno side of Spyra. A Spyra which embraces all the facets of an explosive EM and which is only available in 500 copies. Thus, not to miss! Because even if we swear only by Berlin School, ADSR Remixed has all the ingredients to pull us in the links of its explosive rhythms. B.K. : All those years I was never completely “away” from music, but after many years of work in my studio, I started in 2009 with the return on stage. This concert in Paris was initiated by the French association “Cosmiccagibi”. 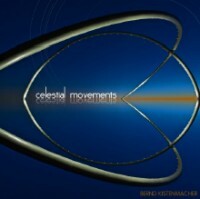 At the same time the German label “MellowJet Records” released my first solo-album “Celestial Movements” after 8 years. So the concert in Paris was also the “world-premiere” of my new music. 2-Why is also a so long silence between 2001 and 2009? Was Bernd Kistenmacher always active artistically and\or musically? B.K. : Yes. In the first years after 2001 I felt very comfortable with doing things which had absolutely nothing to do with music. For example I visited a university again to make some studies in economy and IT. I really do not know when the moment was, but one day the longing for music returned. I felt that I was missing something. And so I returned to my synthesizers. Indeed this “return” wasn’t so easy as it sounds because my whole recording stuff was full analogue…and it was old. After a move into another apartment I learned that most of the equipment was “electrical” dead. This was the moment where I decided to switch on digital recording and I rebuilded my studio step by step. I also changed a lot of synths. The technology had not stood still in this time. Anyway, most of the time I was “thinking” about music. This was a good sign! In 2007 I was ready to do new recordings. 3- Why did you feel the need to make a comeback? Did you think that you had something to prove, to go deeper in your musical perspective or you simply avid to retie contact with your public? B.K. : At first it was not my aim to “comeback” because I was never really away from the music (emotionally). But honestly 8 years are a long time and I learned that I had changed (my mind) and the things around me had changed too. I had got some distance – also to some people. And this was not the worst. I had freed myself from a lot of things. One consequence of this was a deeper concentration on my music. I had nothing else to do but making music. Wonderful! But of course others must judge if the result satisfies enough. 4- Were you nervous in front of the reaction of the media and your public toward this comeback? Did you think that your public had forgotten you? B.K. : A difficult question! I tried to expect nothing and to do my best. Of course I was nervous. It is not easy to return after 8 years. Much more had to proved: the technique, my presence on stage, my music. The event was successful but there are some points which must be optimized in future. I think this is a normal process. 5- Celestial Movements is rather unexpected, in the sense that the album borrows musical approaches very different from what you were used to offering, but you still embrace the cosmic ambient side, with Colliding Stars, but not the Berlin School style. How did you approach Celestial Movements composition? B.K. : Well, when I had decided to produce a new album I had only two approaches, the first one was to sound as versatile as possible. The second one was not to produce another Berlin School album again. Not longer doing “endless nodding”. I had done this in the past too often. And I had recognized that it depends on the musical ideal, on the theme, how long you can play it. If it is good enough for 2 minutes, play it two minutes. If it is ok for 10 minutes, play it 10 minutes and so on. It makes no sense to stretch a short theme endless long. You destroy the idea behind it. One fan told me after listening to my music that I should have played some tracks longer. This is a good reaction. He wanted to listen to more of it and was not bored by the recent material. Fine! 6- How was your state of mind during the writing of Celestial Movements? B.K. : Well I wanted to sound as perfect as possible but you should not hear the “stress” behind it. It should sound in a kind of “fresh” and interesting and unusual. So this was “pressure”. But a kind of positive one, because I was very concentrate and creative. 7- We feel a clear Vangelis influence on Celestial Movements, particularly at the orchestrations level, percussion movements and the dramatic approach. Would Bernd Kistenmacher go to soundboard music? B.K. : Unfortunately I was never invited to write a film score. So especially “Eternal Lights” should be a kind of virtual business card. I wanted to show that I can do it. Emotional and concentrate. Maybe somebody in Hollywood is listening to it? 8- Let’s talk about Eternal Lights; one of the most moving musical pieces that I heard. 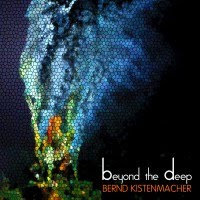 Is Bernd Kistenmacher as much melancholic as its last 2 opuses (Eternal Lights, Journey Throught Italy Part II, Dreaming of B. and Celestial Move) let hear? 9- Between Celestial Movements and Un Viaggio Attraverso L' Italia, 8 years gone by. For each of the albums we hear a different musical orientation. The 1st is very melodious, even dramatic with a strong melancholic side, while the 2nd has also a melancholic side, but exploits more the Berlin School shape, with a progressive approach which you exploited at the beginning of the 90’s with Live and Studio Types ' 92 and later with the powerful Totally Versmold. Did you turn your back to Berlin School style? 10- Speaking of Totally Versmold, can we expect to see again your out of prints records being release some day? Also My Little Universe box set? A bit as Schulze and Tangerine Dream made. B.K. : I can’t say yes or no. It depends on the interest in my older music and the concept around it. At the moment I have no plans towards it, but this doesn’t mean anything for future decisions. I am more interested in new projects and will force my actual music. This is really important to me. 11- Beside this, what do you think of all these re-releases that fill the record shops tubs? Do you think t they answer a need for a public who is discovering EM? B.K. : Beside the fact that I don’t listen so much to the music from others, I must say that I would never judge about there works. Finally it is a question of your personal taste if you like something or not. The point is that too much other music in my head would stop me from being creative. For example when I produced “Celestial Movements” I did not listen to other music for weeks and I was able to keep my own thoughts as well as I could. Now I am working on new tracks and recognize that I have again no fun in listening to other music (sometimes a little bit, if I drive my car). So I always try to suppress what bothers me. This helps me to concentrate on my work. 12- Celestial Movements innovates at the levels of the tones of mellotron flutes and chords of acoustic guitar, producing more than reality the impression to use these instruments. What equipment did you use during the recording of Celestial Movements? B.K. : I mainly work with equipment from Roland. The Phantom G Workstation for example. But I also play some Moog Synthesizers or the Memotron. Using samples from acoustic instruments is a good basis to lift these sounds on another stage just by modification and modulation. For example the opening trumpet sound on “In Face Of Saturn” has got a total different meaning just by playing it into a large reverb. From one second to the next you have that feeling of “space”. 13- Do you think that the purists are outraged to hear a so surprising resemblance between these electronic equipments and the equipments of origin? B.K. : I think purists will ever by outraged if something destroys there “view of the world”, but honestly that doesn’t touch me. I am not interested in thinking about which reaction could happen and which one not. If I would do this, I could never play only one single note without having the fear about possible reactions. Imagine that! 14- How was the reaction of Medias and fans towards Celestial Movements? And during concerts? Did you notice younger faces or were they old nostalgic fans of Bernd Kistenmacher? B.K. : I noticed that the audience in Paris was very different. A mixture from old fans and interested “outsiders”. Maybe it is easy to get this audience in a city like Paris, where you can get cultural offers at any corner. 15- Let’s talk about Bernd Kistenmacher, the artist; did he evolves since Un Viaggio Attraverso L' Italia or does he follows the tangent allowed by the new technologies? B.K. : I think yes because it was my approach to evolve. The typical Berlin School style – which I still like – was at least too one-dimensional to me. There is musically so much more to discover out there and it was time to go into other directions. Personally I evolved too of course. I’m older and I’m fulfilled by a little “panic” thinking about the time which is past and the possible time, which could be my future. I have to hurry up. And this motivates me to do my best – now! 16- Did your approach on composition level and sound conception follow your personal evolution, or rather the new technologies? B.K. : I think these points depend on each other. On one side I must try to transfer my ideas into sound. That means an intensive examination with my equipment. You have to learn and try out a lot. This brings me on the other side to sounds which I didn’t expect before. So it is sometimes possible that you musically go not in the direction which you wanted to go first. Anyway the result should show your musical evolution. 17- And the man? How is Bernd Kistenmacher? We imagine him taciturn, dreamy and melancholic. Are we rather just in our description? B.K. : Maybe not as dreamy as you might expect but it is true, I attend to suffer from most of what's happening out there and this makes me sometimes melancholic and influences my music. 18- Do you consider yourself as a studio freak? B.K. : The name of my studio is “Ivory Tower”. This speaks for itself, but I also like to do live-performances if there is a special environment or idea for. 19- Do you believe that your works were ignored, sulked? B.K. : Being ignored sounds like an intention against me. Why should somebody do this? I think that there is another problem. There is too much music out there and everyone wants to be perceived. On the other side, the media are not waiting on you because the offers are so huge. So you must “cry out” very, very loud, if you will get perceived too. At least it is a question of self-marketing which seemed in my case not as perfect as it should have been. Maybe I shaped my own profile not strong enough. Anyway. Just sitting there and making music is not enough, if you want to become known. 20- Do you think that EM is generally ignored too by Medias and radio stations? B.K. : Oh yes, I really believe this and I will never stop fighting against this. The problem is that nobody understands the “classic EM” as part of our musical culture. This is the reason why you cannot listen to this music in public radio. It is a shame. Also in Germany we have only a few (at least 2) programs which presents electronic music (away from Techno) in public radio. Without internet, this music would have no forum. 21-Knowing how capricious are the equipments and the audiences, is it difficult and risky to build an EM show? B.K. : Not really. If you do a live-performance with electronic music in the way as I do it, you must not fear to get pelted with underwear of little, ecstatic girls! So I recognize my audience more as grown and concentrated. The equipment is on a very high technological level today and at least stable. Of course it is at any time an exiting moment, if all machines work together. But this is part of the show, because it keeps you always concentrated and awake. 22- How do you feel being alone on stage, with all this gear to manage? B.K. : I wouldn’t do this if I would not feel comfortable with this situation. I am more stressed by the organization, the endless talks before and the transport. But if the show starts, everything is fine. B.K. : In the first half of the seventies, I listened to new sounds every month and I listened to the early Vangelis, Pink Floyd, Tangerine Dream, Kraftwerk or whatever. 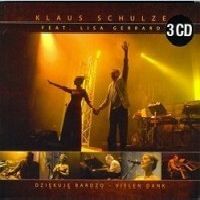 The things changed rapidly in my life when I discovered the music of Klaus Schulze. This was in 1976 and the album was “Moondawn”. Later, when the musical taste changed rapidly and my personal “heroes” did no longer play this kind of “Berlin School” style, so I decided to continue this way more “active”. My first works were influenced by “Berlin School”. This was the music which I loved and which I wanted to play. But it was always my claim to develop this direction of music further, because I felt, that not all stories were “told”. Then followed a period of releases of solo-album (on CD) and concerts. I felt that this was not enough. I needed another economic base and I also looked for a way to feature other EM talents. This was the reason, why I founded my own label (first called Timeless Sounds, then renamed in Musique Intemporelle and again renamed in its final period into MIRecords). The start was not bad and I had signed a lot of interesting artists. But with the deteriorating broadcast and distribution situation as well as the increasing damage by illegal downloads, the economic situation became more and more “week”. So to tell a long story in short, my label was no longer a second economic foothold, but more a worry. In 2000 I decided to “close the doors” finally and to concentrate only on my musical activities. 24 What do you think of the proliferation of new artists who use new technologies and, without having any musical formation, compose music to profusion? B.K. : Well a lot, because I started in the same way too. I had no idea about synthesizers and recording in 1980. I just felt to use it and to work with. So this is always the way most artists begin. At least this says nothing about the grade of creativity but the first step is enthusiasm for something. Ever! 25- Do you think EM is there to stay? B.K. : This is difficult to answer because most of actual music is in its kind “electronic” today. So where begins EM. and where does it end? I don’t know and at least a controversial discussion. 26- About classical music; what is your biggest influence and why? B.K. : One influence is surely Frederic Chopin, because of the beauty of his music. On the other hand, I ever liked to listen to artists around the concrete music. B.K. : What can I say? On top of the mountain are Klaus Schulze and Vangelis, but I also listened a lot to Eno, Reich and others. 28- Do you find that EM evolved since your absence (2001) and since your beginnings? Is it always all so minimalism? Does it follow the technological currents or there are really creative and innovative artists, as at the time of Schulze, TD and Ashra? B.K. : Innovation is always there. Technological as well as musically! But I will not talk about concrete names because the question would bring me again to criticize the work of my colleagues - what would be a kind of bad manner. I am convinced that there is a lot of really good music out there, but most of these artists will never get the chance to catch some attention because of many reasons. 29- For you, what is the main difference between Dancing Sequences and Celestial Movements? As well as the approach, inspiration and mentality? 30- What are you doing these days? B.K. : At the moment I work on my next solo-album. A very interesting project, which has nothing to do with space or stars, but with the deep of our oceans. The source of inspiration for my new music is the Science Fiction novel “The swarm” by German author Frank Schätzing. "The swarm" is one of the most fascinating books I have read in the past years! The release is planned for June 2010 on MellowJet Records and I hope, I can fix this date, because I will also do my next live-concert on June 12th at the Planetarium in Bochum (actual info at www.bernd-kistenmacher.blogspot.com). For autumn is a cooperation with Roland scheduled. Some more concerts could follow this year. So I am always busy …again. 31-Thank you Bernd and what are you reserving to your fans in the coming years? B.K. : I hope that I will be able to return to a more regular output (if my creativity allows this). I also think that concerts will ever be a kind of special and rare moment because I don’t like to play on festivals. Anyway I would be happy to meet you here or there. So please let me finish with my personal motto: Never stop to burn for your ideas…! Sadly, we age. And with these years which pass by, are losing beautiful souvenirs of an audacious and tousled music which cradled our dreams and emotions. Head-Visions was the first opus of Bernd Kistenmacher to fill my ears. A wild album where rhythms and sequences seemed indomitable to me. 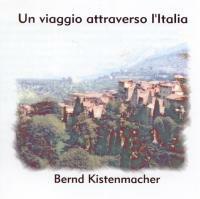 Then was Viaggio Attraverso L' Italia, beautiful journey towards one Berlin School where the musical poetry of Kistenmacher was finely chiseled on soft and hypnotic rhythms. Nothing to compare with the wild Totally Versmold! Since, and with BK pleasant collaboration, I was able to hear the majority of its works being so capable of following his musical evolution. What a career forgotten and snob by the journalistic world! A waste which, I hope should be repaired with Celestial Movements. Almost 8 years passed since A Viaggio Attraverso L' Italia. And there is the German synthesist who’s making a comeback in the EM spheres. As us, Bernd Kistenmacher aged and Celestial Movements is the irrefutable proof. The German musician is more serene, but always so poetic, nostalgic and ingenious. He presents 6 celestial movements which wear marvelously the naming of its 16th opus. Movements which transcend the limits of EM’s Berlin School style, to fit a surprising musicality axed on melancholy, with an infinite tenderness and a sound ingenuity which distance him in this fauna of artistic profusion where his Vangelis influences stand out pretty much of Klaus Schulze’s ones, with a harmoniousity of which only the greats are capable of. The Beginning opens with somber increasing synthesized strata, from which escape tones of a solitary trumpet which shouts in a murky night, surrounded by a synth to resonant waves. The arrangements are magnificent. We could believe hearing dramatic and dense Vangelis the orchestrations on a symphonic synth which lands on sea, straight to our ears. More complex, the opening of In Face of Saturn soaks in a heterogeneous ocean where discreet pulsations are gobbled up by intense synthesized waves. A metallic world which unblocks on twinkling prism suite, where sequence percussions roll to a surprising musical opening with flutes filled of light tremolos that blow on a debonairly hypnotic sequence. Follows, a tremendous synth play of which the breaths of various symphonic tints spin on a sober pace where notes of piano add a harmonious depth to a title which astride as much an oniric tribal approach as a free-jazz orchestration. Colliding Stars is a long ambient musical piece which floats on a furtive bass and big drum rolls in a cosmos full with a synth to latent modulations, of which escape sinuous and loud solos as well as weak bewitching vocalizes. A slow cosmic waltz which becomes more musical, courtesy of a beautiful synth accompanied with a more active bass and melodious chords enchanted by morphic choruses which cradle us until the dream limits. Eternal Lights is a musical sweetness to make a rock cry. The kind of music that sticks to the soul starts with weak chimes which tint beneath the shade of a misty mellotron. A soft mellotron which draws a romantic axis with a tender synth stuffed with slow shivers which sound like the laments of a solitary soul. It is soft, superbly beautiful and it’s embellishing even more with its blowing choruses which befuddled the solicitude of a piano with melancholic chords. Chords lost in the breaths of a synth with musical tears. A very beautiful title that makes his imprints, happy as unhappy! The first keys of Living Between Asteroids take us out of our melancholic torpor with an intro shapes of a big organ, kind of Phantom of Opera style. Afterward? Pure magic! A sequential movement orchestrates a resemblance with an acoustic guitar which scratches its ropes with a beautiful pep, while a symphonic synth pushes beautiful angelic strata. The more Living Between Asteroids evolves, the more its musicality modifies. From guitar, we fall on a magnificent piano play where Kistenmacher dexterity is not to be proved anymore. The whole thing is standing on a robust rhythmic which, once again, exceeds the limits of what EM is used to offering. This is a solid Kistenmacher performance who fills full our ears and who closes this magnificent album with a superb sonata (Celestial Move) which is an acoustic version, played divinely on a piano, of Eternal Lights. Celestial Movements is a splendid comeback album. Certainly, we are very far from the undisciplined movements of a Berlin School to organized improvisations, as well as the arrhythmic and unbridled sequences which filled the works of his former days. But the German synthesist offers an album without smudges, where everything is musically structured, while perpetuating his love of ambient cosmic (The Beginning and Colliding Stars) in an incredibly rich sound universe. Bernd Kistenmacher displayed treasures of ingenuity to offer an album of a musicality which, to this day, was never exploited by anyone in this surprising universe of EM. A key album and a classic to become which is at the height of the incredible genius whom is Kistenmacher. One of the Top 5 of 2009! Beyond the Deep is a worldwide call on behalf of Bernd Kistenmacher so that the man stops ignoring this vast world under our feet and respecting it, because if the nature should take revenge, it would come probably from there. Dramatic? Disturbing? Hmm … Yes, quite as the musical structures of Beyond the Deep, 17th opus of German synthesizer who goes of superb orchestral surges to renew our forgotten passion for Vangelis works. Moreover it is what jumps to ears on Ouverture’s opening; big aquatic waves which roll beneath the skiff of a hydraulic galleon and gulls cackles that are dying in the singings of abyssal depths. A strange sea and world contrast where synth strikes remind dramatic approaches of the Spanish conquering galleys that eyed New World coasts. Deeply moving, the synth is magnificent and spits symphonic breaths which bend on percussions, such these old sailboats leaning on the strength of slaves rowers pushed by drums striking. The resemblance is stunning, but superbly musicale with a so sensitive dexterity that we imagine ourselves on these shuttles of the despair, escaping to scurvy and arrows of those future converts. The world and the sea! Two indestructible links that Kistenmacher displays and fills out with all the complexity of its electronic equipments, shaping thus a work as unique as the message carrier. A splendid refrain escapes from this stream strength, giving a second breath to Ouverture which becomes suddenly as harmonious as he could be dramatic. A synth which frees its melodious bits among rolling percussions such a conquering procession through seas. Seas to fine twinkling arpeggios which float around a splendid Mellotron aura, showing all the sensitivity of a Kistenmacher which weaves its orchestral arrangements with so much knowledge and panache as Vangelis or John Williams. Shouts of terns above a rough sea, Tsunami’s intro rumbles with power and worry pouring under the dark side of waves and voices of sirens trapped in strange plasma to suspended chords. A soft Mellotron appears from it, flirting with a piano to chords as much hesitant as nostalgic and soaking in a halieutic romance. There where the melody gets lost in the infinity, in the gust of notes which float around a suave Mellotron, while embracing a chaotic structure which takes its surge with a heavy piano galloping on a choppy sea. A crazy race where the rhythm can’t be explain, but lives with doggedness by notes of a wild piano which dance feverishly in the mists of a heavy Mellotron, as the shaping of an immense wave of Tsunami which will crash with roar. The music of Kistenmacher lives and tells magnificently well on this oceanic ode where the progress of the sound structures binds itself with the imagination of its author. After the storm, it is the calm with melodious Clayoquot Sound where acoustic guitar and fluty Mellotron sing the serenity on a structure very near the roots of the progressive folk music. In progression, Kistenmacher adds to it beautiful strata of a very symphonic synth which wraps arpeggios to twinkling radiance and this wonderful melancholic Mellotron. Lost City is another superb title where the duality of rhythms and harmonies is in constant ebullience on very beautiful orchestral arrangements. The intro flows as a river of Vietnamese cantons with a Mellotron to Pan Flute which espouses arpeggios weaved in the silk. A soft harmonious trickle which flows in a hybrid cosmos where planet Earth is catching up to the stars. At around the 3rd minute chords wriggle beneath strikes of jerky Mellotron string bows and drum rolls, reflecting Geoff Downes' complex orchestral universes. Lost City will constantly be torn pulled between the melodious sweetness and dramatic approaches dense orchestrations, under a discreet synth among of which spasmodic chords and symphonic strata invade little by little this universe where the rhythm gets win with bows strikes and anarchic percussions before sinking into the quietude of a which meets up its introduction. A great track that worth Beyond the Deep purchase. A little as his title indicates it In the Black Smokers Bar offers a jazzy structure. A structure of night club with a beautiful and languishing line of bass and a synth to aphrodisiac breaths that is out of tune from Beyond the Deep’s ambiance and which recalls Jarre cosmic rumbas on his first works. Who will Save the World? takes again the Mellotron orchestrations with tender violins which tear a soft intimate atmosphere where a beautiful flute floats in a hazy mystic. Magnetic, singing exercises to weakened tremolos go with this symphonic walk that adds to its nobility with harpsichord notes which furrow a cosmic synth. Another great music piece, with a not less beautiful refrain, that hooks the ear with its beautiful orchestrations. Beyond the Deep is a wonderful musical jewel. 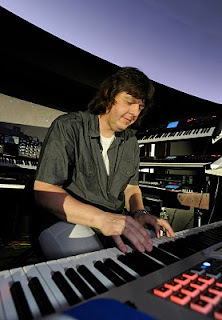 Far from create conventional EM, Bernd Kistenmacher rather chose a very symphonic approach with its last opus, relegating the sequential movements, the cosmic approaches and ethereal ambiances in background, putting all its emotions in a great classical-electronic work worthy of the best Vangelis attempts. And there I would establish a link with 1492 and Alexander that I still am far from the final product. No! Kistenmacher goes further in the exploration of its equipment by redrawing their potentials with creativity that equals the one of great composers. 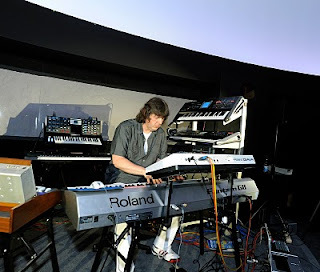 I know that I will shock many eyes, and ears, but Kistenmacher indeed exceeded its mentor (Klaus Schulze) by signing his last works of a musical audacity that even Vangelis refused to penetrate. A very beautiful work! Very beautiful music which has nothing to do with EM such as Berlin School so much accustomed us. 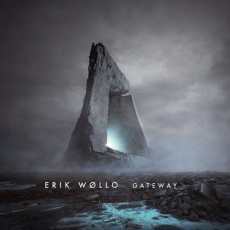 The only Erik Wollo album I listened too was his 2007's Elevation. Since then I discovered a bit more the musical world of this artist with Bernhard Wöstheinrich (Arcadia Borealis) and Deborah Martin (Between Worlds). Two nice albums released in 2009 that show how this brilliant Norwegian guitarist is at ease with approaches and musical structures as audacious as slowly harmonious. I quite enjoyed Elevation. An album which, to me, opened the doors towards new musical horizons where the magnetism of Wollo enchanted with his art to merge good melodies to musical landscapes. And “Gateway” is another nice collection of these kinds of tracks that charms and makes us travelling without leaving our body. It’s a musical journey where rhythms and structures differ one from another, according to Erik Wollo's imagination and passion for aboriginal tendencies which liven up his creativity. Fuzzy rhythms where guitars stratums bite ancestral specters with an introspective and oniric approach such as on "Land of Myths" and "The Traveller" to rhythms with more nervous sequences as on the wonderful "First Arrival", "The Crossing", "Gateway" and the great "Thule", this 16th opus of the Norwegian multi-instrumentalist is drawn straight from whimsies and visions that Erik Wollo has of a hybrid world where the harmony reigns above disorder. Alternated the rhythm to ambient sequences has no secrets anymore to Wollo . Tracks like "A Sublime Place", "Blue Universe", and the superb and hallucinating "The Mental Trail" where strange mesmerizing pulsations draw a hypnotic rhythmic arc, "Full House Circle" and the dramatic "Wetlands" are pure jewels of cinematographic ambiances. Musical landscapes which parade according to our fantasies with spectacular guitars and synths strata that transport us at bird’s eyes to seize all of Wollo's imagination. If these ambient passages are of an incredible beauty ("The Mental Trail" and "Wetlands"), more lively tracks offer a structural variety which gives pure musical jewels. I think in particular of "Land of the Myths" with its guitars chords which drag in loops on a synth to slightly fluty waves. These loops become more mordant and intermingle to superb stratums of a gliding guitar, deviating "Land of Myths" towards a spectral side, while leaving room to the beauty of a morphic dream. "First Arrival" is simply superb with its aboriginal percussions which draw a soft rhythm of submission wrapped with a guitar from which solos transcend the depth of emotions. "Gateway" is a skillful journey where the rhythm is wiggling as an Amerindian trance on a background of an exotic guitar, like on "The Traveller" and its hypnotic rhythm and its stratums from an incisive and morphic guitar. And what can we say about "Thule" with its heavy aboriginal trance which hypnotize and bewitch on discreet layers from a ghostly guitar and a caustic synth from which sinuous waves draw a tragic world in perdition. In brief, “Gateway” is a stunning musical box where the rhythm crosses and measures an ethereal and poignant depth on a wonderful mixture of guitar/synth and sequences/percussions. A wonderful album filled with jewels which melt in the ear ("First Arrival", "The Traveller" and "Thule") and of small diamonds that the listenings will polish, such as the wind sculpting superb rocks and crisscrossing strange plains that Wøllo shows us at ear’s flight. “Gateway” is a very nice album of a deep musicality which is much more than simply EM. It’s not with a concert of EM, even with the Master Schulze, that I will attract people in my living room, even if drinks will be free and flow massively. And it’s understandable! See Schulze in concert is like watching a tall man of a certain age toying with its PC and multiple keyboards. Remark that whoever might be; Schulze or Vangelis, results would be the same. And this, even if the music is sublime! When one attends a concert, one likes that when that moves. One likes that to feel life and the communication between artists on stage. Jean Michel Jarre and Tangerine Dream understood it and for this reason their concerts are clearly snuffed by a younger clientele who seek for sparks and rhythms on furtive exchanges of glances or smiles between musicians. An EM concert which includes only one person and his gear is the equivalent of seeing a pianist or solo instrumentalists in stage behind his fans conquered in advance. It is necessary to love the artist and to travel with his art to appreciate this invisible communion of it. On this level, Klaus Schulze succeeds fully. Seeing him settles on raised curtains to fix his equipments in order to create his invisible orchestra where the rhythm appears as by magic is something to see. Thereafter wrapping these beats by suave synth solos, is the great musical mass where everything becomes allowed, even astral voyages without unspecified substances. And the room, just as me, is stagger by the presence of this man who inspires still so much dream, fantasy and quietude. Him alone, Klaus Schulze magnetizes and charms by its ease to multiply its harmonies in a perfect cohesion that one is very astonished when he stands up to introduce Lisa Gerrard for Bazylika NSJ. Thirty minutes that we didn’t see slipping by! A great lady, a beautiful voice and a superb cohesion between the artifice and the naturalness! Bazylika NSJ, just like Godspell, are 2 titles with ethereal and torn ambiances where the voice of Gerrard marries the audacities and improvisations of Schulze who shows that there is no age to oversize its electronic symphonies where the angels squabble the satanic last breaths. A beautiful concert with a sober lighting, not to say rudimentary, with two artists not afraid of pushing the electronic art far enough to be hard to catch up by others. In the Moog for Love is a documentary of thirty minutes showing the making of this show. The French subtitles (German are also available) make his viewing more attractive, in particular for the interview with Lisa Gerrard who talks about her relationship and how everything stats with Schulze. So, a small and beautiful documentary showing Schulze is in good health, still likes what he does and over all still has enthusiasm for create music. Dziekuje Bardzo is a superb audio-visual document. On the audio side, we have an excellent concert with music of the most innovative whose many bounces are the essence of Schulze creativity, whereas the visual side is sober and quite detailed. One sees there perfectly all that Schulze handles and programs in order to present a concert worthy of complexity and imagination we can expect from EM. So, a great DVD with outstanding music which is far most enjoyable on a big TV ACL screen and a great surround sound system. An event that technology is able to offer nowadays and which surpasses the great Dziekuje Poland, released 25 years ago. A Masterpiece which will survive times…as many musical works from Schulze. There are people who think that the artistic union Schulze/Gerrard made its time and that our friend Klaus should pass to another thing. I’m divided about this opinion. Certainly I miss these long Schulzian synth wanderings where Schulze thwarted previsions by throwing an album which tricked the time bringing us way ahead beyond. On the other hand, I believe that there are still beautiful things to come out from this duet whose duels and harmonies transcend what Schulze can let us imagine with its chimerical choruses. If Lisa Gerrard had quiet down the Master on Farscape and Rheingold, Schulze pushes divinely the diva of the syncretic singings on Dziekuje Bardzo with superbly sequenced passages where the voice of its Muse is as aggressive and corrosive as it’s the time on Dead Can Dance.What do we have to hold about Dziekuje Bardzo is that it’s a triple cd-set which gathers 2 concerts given in 2 days; one in Berlin and the other in Warsaw. For sentimental reasons concerning Schulze (that is to say 25 years after Dziekuje Poland), the concert of Warsaw is definitely more inspired. Therefore, in my opinion, a double album including the concert of Warsaw plus, in bonus, Spanish Ballerina, should have been amply enough. But Schulze being Schulze, which knows that all of his concerts are pirated (from where the birth of Silver, Ultimate, etc… Edition), he preferred to release a triple box with the 2 performances which resemble each other except for some variations. Therefore, here what can explain the polemic of certain EM chronicler’s opinions who think that the Schulze-Gerrard union made its time. The first 3 titles are drawn from the concert given in Warsaw, on November 13, 2008, nearly 4 months after the Loreley (Rheingold) concert and Klaus Schulze frees his panoply of heteroclite sonorities where voices and groaning bathe in a strange climate of Muslim pastoral on a soft synth to angelic singing exercises. Towards the 9th minute a fine sequence takes shape and floats while multiplying its arch tinted of light hazy whistles on another sequence which undulates in a superb sequential fusion that few artists dare to soften. A dance of cymbals is added to the movement whose undulation gets the upper hand on the rhythmic, whereas choruses so ethereal to Schulze musical world are graft to mould a soft symphony on chaotic rhythms, but symmetrical, in the shade of a synth which unpick its solos as much abrasive than cosmic, like a hyphen between the lost world of analogue to that more pragmatic and robotic which is the digital one. And wave the beat! Under twisted solos which widen the rhythm on ten minutes. Time needs to embrace a long ethereal final with sweet musical silk threads where Schulze lays out all the architectural possibilities of its synths. Bazylika NSJ is the 1st Schulze/Gerrard communion on Dziekuje Bardzo box-set. A long title divided like Shoreless Two with its intro and its beatific finale, intersected of a most daring segment for a vocal performance where Schulze insane sequences marinate on solids percussions and an absolutely magical voice which bites at full lungs on a frenzied rhythm. Divine, the intro shows us the power of Mrs. Gerrard vocal cords that Schulze supports superbly well with its synthesized choruses. A cosmic opera where the Prima Donna dominates an unreal universe with a superb fusion of simulated and artificial voices. Magic, the voice of Gerrard borrows various intonations before gently gliding towards the opening of the hybrid sequences which hop from everywhere near the 18th minute. And there we attend to a musical duel where the rhythm, which undulates with aggressivity, crosses slow but fluid orchestrations and syncopated sequences where Schulze pushes Lisa Gerrard in the depth of her ramparts, driving back the limits of a simple Prima Donna. A diva who spreads out all the spell of her voice, over an ethereal final. Godspell encloses the performance of Warsaw with a title divided into 2 times and movements. The first 10 minutes attack a minimalism rhythm where the tempo pulse and undulates such as a cosmic ascension on great percussions hammering a progressive tempo which agitates nearby a superb vocal performance. A musical piece where the vocal improvisation is as much impressive as those of the synth and sequences of a Klaus Schulze in its hallucinatory movements. With the quietude and the sublimity of here voice, Lisa Gerrard feeds herself all the dreamy imaginations of Godspell 2nd part where artificial cellos revolve around a voice to thousand intonations, visages and passions which lull us with an infinite idleness of the heart. Recorded the day before, the concert of Berlin offers structures similar to the Warsaw concert, except for some variations. These variances are more present on Ocean off Innocence where heavy resounding chords oscillate deeply under the laments of a Lisa Gerrard who seems to be without limits. A soft celestial voice on heavy reverberations with the circles of claustrophobic resonances, Lisa Gerrard is in a superb vocal delirious whereas gradually Ocean off Innocence borrows soft paths of Bazylika NSJ, as well as its heavy unbridled rhythms. Spanish Ballerina distinguishes itself with its syncretic intro to anarchistic voices, before a soft Spanish serenade comes to polish its syncretic opening. Dziekuje Bardzo’s only flaw is its whole contains. 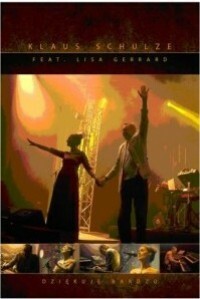 Offering 2 concerts that look a lot alike add some redundancies and lengths to this 3 cd set. If we have the money of our faith and fanaticism there are no problems, but I do believe it’s a problem of conscience of Klaus D. Mueller for this shameless exploitation of fans loyalty. On the other hand, the Warsaw concert is a wonder where Schulze gargantuan impetuses are finely supported by a superb control of Lisa Gerrard vocal cords whom, undoubtedly, swallowed a synth in her childhood. A splendid voice which embraces all of Schulze’s madness who, on the other hand, performs superbly all of his muse’s emotions. A beautiful album, that has its lengths, but which is absolutely magical on its DVD version which presents the whole Warsaw concert. There is some music which is difficult to describe. Small masterpieces which bewitch and, listen after listening, continue to charm. Achtundsechzig 24 is this kind of music. A splendid album where fluid rhythms and flexible permutations are molding in a divine melodious approach. It’s been a long time since I wanted to write about this splendid opus from Wolfram Der Spyra and Chris Lang. But words never came in mind to describe it, while his listening led me constantly in a soft dreamlike euphoria. With the release of a new album (Sequest), the moment is ideal in trying to make a review of one of the great EM albums which got lost in the wire of time. Recorded in concert at Toskana-Therme (Bad Sulza) in 2001, Achtundsechzig 24 listens to like a dream, so much it is soft, poetic, lyrical and strangely fascinating. Though, its introduction lets not augur at all the mesmerizing splendor that will sparkle with so much limpidity throughout the next 60 minutes. A heavy layer to light reverberations opens its genesis. From then on, a rhythm tenderly hatched drills the walls of a cave which stream slightly. A fluid rhythm however filled with a soft claustrophobic effect, with its fluty layers that skip breathless among a horde of strata to multiple wadding fragrances. Such a sonorous sturdy, the introductory tempo of Neunundfünfzig 49 bows on a minimalist sequential movement of which hatched breaths are ground by solos to dreamy twists above a rhythm which stamps as a flame sucked up by a light whirlwind. At around the 9th minute, doors of illusion open with a stream of crystal clear arpeggios which dance above stars. A soft bewitching passage, which recall Klaus Schulze’s intro on Crystal Lake, where a soft piano, fill by a solitary soul, cherishes of its misled notes. A superb moment where piano notes get lost with the sparkling of crystalline arpeggios, beneath swarms of bats which draw shades on an enchanting musical landscape. Dreamer, the piano isolates itself and gets lost in the mists of a synth in arpeggios always so translucent which sparkle in loop, as an ocean trapped in a pond. Symphonic solos and cello string caress this passage that dies slowly in a heavy vaporous mist, introducing the 3rd movement of this dreamlike symphony which sets shape at around the 24th minute with a supple rhythm which hems such a timeless wave, bitten by magnificent guitar chords. Between Crystal Lake and In Blue, the world of Klaus Schulze fills constantly the music of Spyra. Here, synth strata flow with such a musicality, that the meshing with the acoustic chords becomes some the pure magic for ears. Still, these bats, these symphonic synths, this foggy mystic and always this strange union between the magic and the musical constellation which spreads with such grace that we are amazed to each and every curve that Neunundfünfzig 49 takes. Towards the 30th minute step, between the sweetness of a wandering of the cortex and the reality of the sublimity which holds us in breathe, the tempo still permutes to sink into what is the most beautiful moment on Neunundfünfzig 49; guitar chords which serenade near a strange cosmos, getting lost in a fluty sphere and a synth to singing exercises of spatial sirens. A divine moment that only the infinite possibilities of electronic equipments can allow. One of Neunundfünfzig 49 greatest highs who soaks constantly between the delight and amazement that we forget its influences and roots, like those Schulzian choirs that stamp under an agile acoustic guitar. Streams of twinkling arpeggios that waddle with a cerebral submission, fluty breaths, hatched chords, frivolous choruses and a synth as harmonious as the heaviness of its pads, Neunundfünfzig 49 evolves with such an ease that we are amaze to notice that the first 40 minutes are already passed. The 10 following ones will cross as fast with a suave tempo which sets slowly forms to wave and skip under foggy layers of a synth to morphic undulations. Around the 50th minute mark, deaf pulsations come back molding a hammering rhythm in a hollow musical fauna, as to pull us out of our sleep, where heavy strata merge with a guitar of which chords get lost in the tones of an unreal piano, a little as all which revolves around this sublimity that is Neunundfünfzig 49, whose end will forge a nostalgia which will command a 2nd, a 3rd listening. And so on. Try it and you will say so much! It is evident that with such a principal feature Acht 39 gets lost in forgetting. And yet it’s another great music piece in free jazz style with its electric piano of which notes waltz falsely around a synth to foggy wanderings. A beautiful track that breathes the Spyrian analogy and paradox. Either a mixture is a mixture of jazz, electronic and industrial music on a dreamy air and musical poetry. 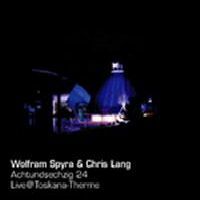 To me and my ears, Achtundsechzig 24 - Live@Toskana-Therme of Spyra / Lang is a pure masterpiece. A wonderful album where the imagination is the only border. Seven years later and after my first earring, it still furnishes my late listening hours. Immensely beautiful it’s a pure musical jewel that I recommend, without hesitations, to all those who like the musicality and whatever its origin; EM or not!